Tapasya panchakarma therapy room makes your therapy sessions a blissful experience. The muted lighting, soft melodious music and the soothing therapies performed by experienced hands are sure to leave you completely relaxed and comforted and bestow health & goodness. Well equipped and hygienic 6 Ayurvedic treatment rooms (separate for men and women)with attached bathroom, Well experienced, qualified and competent masseurs / therapists ( seperate for ladies and gents ) with on hand experience. In TapasyaYoga & meditation center, our expert Yoga instructor guides you through various Asanas and Pranayama to help you adopt Yoga & meditation as part of your routine. Our Pharmacy has providing classical Ayurvedic medicines as well as Ayurvedic patent medicine of different pharmaceuticals. 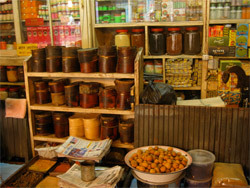 The majority of the Ayurvedic medicines available in our Pharmacy. Located at the main entrance of the Hospital, the Out-patient centre (OP-Centre) the following facilities. 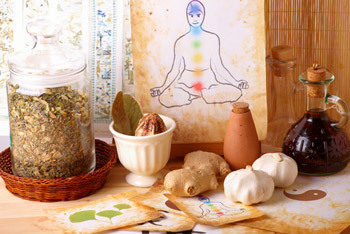 We offer the whole range of Ayurvedic therapies on a Day-care centre basis as well. Patients staying in kerala or nearby places can come to the hospital at designated time to avail of the Ayurvedic Therapies as per the Consulting Physician's advice. 1. All patients are provided disposable loin cloth for use during the therapy session. 2. Patients undergoing therapies in Tapasya are provided with towels and bathing soap. 3. For patients coming for Vasthi, specific food is to be provided soon after the procedure and the same is provided to all patients as part of the therapy package itself. A) Please report at the front office, at least twenty minutes prior to the designated time in order to complete other procedures before your therapy. B) Since the therapies are scheduled back to back, the duration of your therapy may have to be cut short if you arrive late for your session. C) In case you are not able to make it, please inform the reception about the same. D) Please take instructions from your treating physician about the timing and type of food you need to take before and after the therapy and other precautions you have to follow and ensure that you follow the same. E) On arrival, please inform the Nursing staff on duty and wait at the lobby. You will be taken to the Asst. Physician who will check you before you commence the therapy. F) Please inform him / her about any difficulty you experience. He / she may make some alterations to the therapy after checking with your treating Physician if the need arises. G) Before you leave after the therapy and give your feedback about how you felt with the session. H) Please request your asst. physician for a description about the therapy you are about to undergo. I) Persons accompanying you can wait at the lobby till you complete your session. J) If you need transport arrangements to come for the therapy or to get back please inform the OP reception and they will help you arrange for transport as per your requirements.